More and more workstations are operated by a single person. To meet these demands, the Draco U-Switch offers the perfect solution. Whenever you need to run several CPUs with a single set of keyboard and mouse you may need this device. 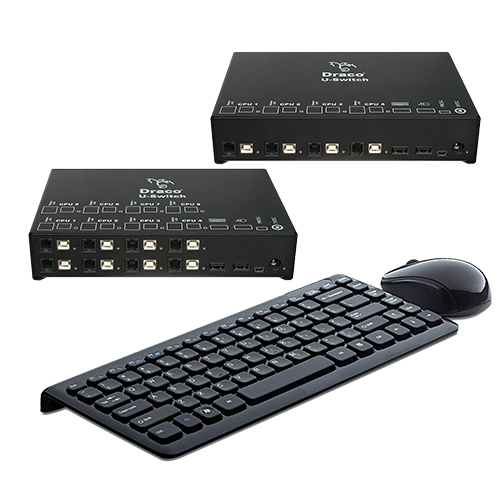 The Draco U-Switch works perfectly with our DVI extenders and provides the function to switch with one set of keyboard and mouse to up to 8 computers and monitors. With a Hot- Key- sequence or via push buttons, the user may switch keyboard & mouse fast between the screens. 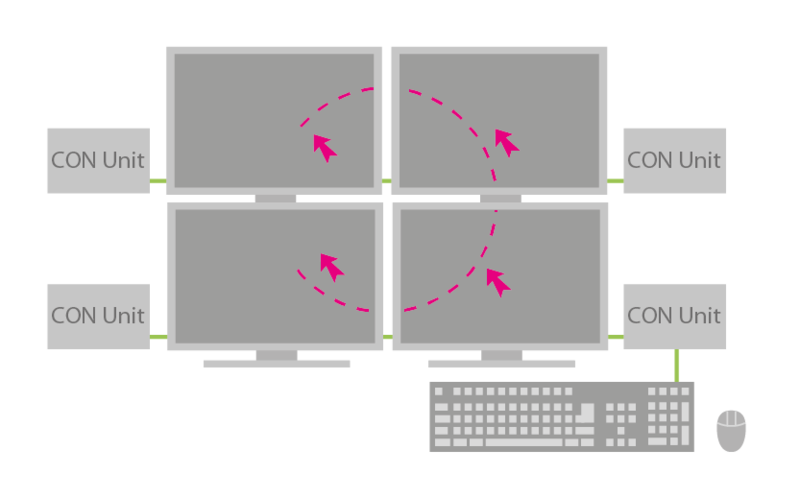 Additionally, each monitor can be equipped with an LED to signal the active monitor & CPU. The Draco U-Switch provides a constant connection state for the mouse and keyboard which provides for instant switching without delay. Quick and instant switching, without any delay. Switching via keyboard or optional push-buttons. Optional: LED lights can be attached to display the active monitor. Compatible to all USB-HID devices. Optional 19″-rack mount kit for up to 2 devices in 1U. P.S.U. and USB cables are included in delivery.